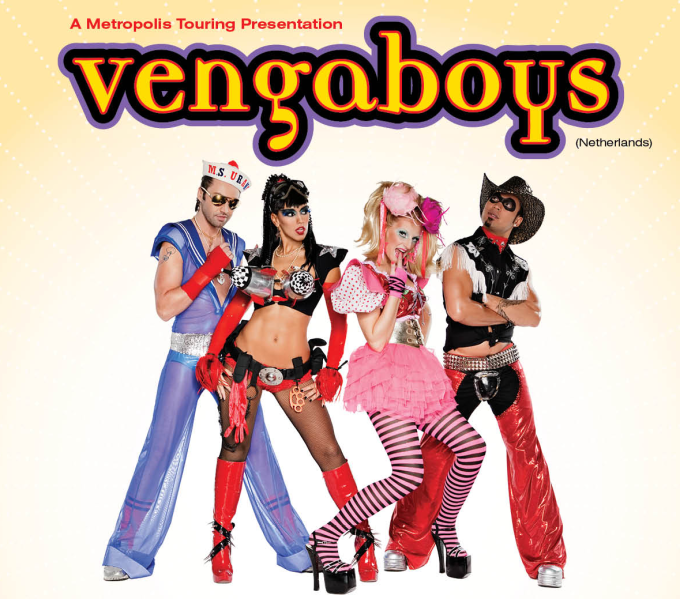 The Vengaboys and their swag of top-notch ’90s supports sure are popular. So much so that their shows continue to sell like hot cakes. Four shows on their recently announced Australian tour have already sold out, another date has been added in Melbourne this morning, while the Adelaide concert has been shifted to a larger venue to cope with demand for tickets. The Dutch purveyors of pop will roll out their catalogue of classics at a fourth and final Melbourne show at 170 Russell on Tuesday November 08, while the Adelaide show has been shifted from The Gov to the larger Thebarton Theatre to satiate demand for tickets. They will, of course, be belting out their back catalogue of favourites, including ‘Boom Boom Boom Boom’, ‘Shalala Lala’, ‘Kiss (When The Sun Don’t Shine)’, ‘We’re Going To Ibiza’ and the classic ‘We Like to Party (The Vengabus)’, but so too will their roll call of support acts; Whigfield, Tina Cousins, Joanne, DJ Sammy, Sonique and Crystal Waters.